I've been with Dr. Moore for 9 years. She has provided consistent care and done two of my surgeries during thattime. I've been with Dr. Moore for 9 years. She has provided consistent care and done two of my surgeries during that time. This was my first time seeing an OB-GYN. I was feeling a bit anxious prior to my appointment but my visitwas absolutely wonderful. The environment was very pleasant and put me at ease. Her staff were all welcoming, helpful, and patient with me. Dr. Moore was considerate, thorough, and professional. I was treated with kindness and felt so comfortable. I would highly recommend her!!! This was my first time seeing an OB-GYN. I was feeling a bit anxious prior to my appointment but my visit was absolutely wonderful. The environment was very pleasant and putme at ease. Her staff were all welcoming, helpful, and patient with me. Dr. Moore was considerate, thorough, and professional. I was treated with kindness and felt so comfortable. I would highly recommend her!!! 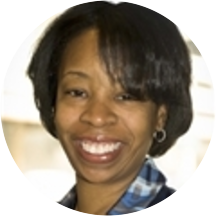 Monica A. Moore, M.D.received her medical education from the University of Michigan. She completed her residency at Rush University Medical Center. She is board certified in Obstetrics and Gynecology. Her practice includes comprehensive care for women of all ages. She is affiliated with both Northwestern Memorial Hospital as well as Rush Medical Center. Within her chosen field of gynecology and obstetrics, Dr. Moore specializes in endometriosis, uterine fibroids, menopause, pediatric/adolescence gynecology and ultrasound. She has recently introduced a comprehensive weight management program for women. Dr. Moore is married with twin daughters and lives in Chicago, IL. I believe I am more upset that I didn’t read the reviews beforehand. I left worse than I came and still never received a callback. Little to no knowledge and poor judgment. They make me feel good about myself all the time, even on my horrible days (like today) when they don’t even know. The appointment was very quick, professional, and overall very positive. I literally waited 2 minutes. One hour waiting to have the doctor talking to me for less than 10 minutes, left me waiting and forgot that I was still there, 30 minutes later when the office was already closed, they found me waiting in the roomthat was a mess and had “parts of a cabinet doors” on the floor. Same room where the pap smear taken. After all the disrespectful waiting, I went to the reception to get a prescription and one of the receptionists had her pants opened on purpose as the pants were tight and said: “Thank God you are the last one”. The doctor prescribed me a medication that is known for having diarrhea as a side effect (NOT TELLING ME ANYTHING ABOUT IT), even after I wrote on my files that I was allergic to lactose and anyone can assume that such patient would be sensitive under these conditions. Of course I couldn’t take the medication for more than 2 days. Called the doctor and never heard back from her. Nevertheless, I should get the results sent to me by email 7 days after that visit, guess what? Called 2 weeks after never getting a result and was told I would have it by email, a few hours later the scanner was broken and I would have to pick it up. I couldn’t go, so now, ONE MONTH after my appointment, their system has been down since them and no computers are working. No one ever called me or sent me these, that could easily have had a picture taken and sent or even mailed to my address. Awful, disrespectful, messy, everyone is full of attitude but great in doing NOTHING! Wish I could post pictures here! I didn’t have to wait long - after filling out the new patient paperwork, it was pretty much right away - and the staff was nice. However, although Dr. Moore was cordial enough, she seemed rushed, cold, distant and distracted. Itseemed like she just wanted to hurry and get me out of there. I was in the middle of telling her some of my symptoms and I don’t think she was even paying attention because she left out briefly, then didn’t acknowledge anything I said when she came back. I know doctors are very busy, but first impressions are everything. What I initially went in for was addressed, hopefully (I have to go see if she actually called in my prescription) but I don’t feel a reason to go back again. I will continue my search for an OB/GYN. Doctor is very professional and knows her stuff. I went for the pap smear annual test. Doctor was able to guide me through the issues that need to be addressed. Absolutely loved her and her staff! Sheisty billing practices for insurance. She was a wise and wonderful doctor. Really great visit! She’s rude, has a bad attitude, on top of forgetful. Her receptionist is the worst. Still trying to understand how she still has a job. I won’t be back. I was disappointed by Dr. Moore's treatment and even more so by her office staff. I went in after experiencing cramping and missed periods. She stated she saw something in my uterus that was probably dried blood but she wanted meto return for a repeat ultrasound. When I returned for the repeat ultrasound, she asked me why and I reminded her. She then questioned me as to what she saw the first time around. I could not answer those specifics. It seems a doctor should review their notes and not count on the patient's recollection of what the doctor saw on an ultrasound. Further, when I switched doctors, I had to repeatedly follow up with the office to obtain my medical records. They would promise them by a certain deadline and miss such deadline repeatedly. The facility is also poor. Very run down generally. I only went twice and each time there was no toilet paper in the bathroom. Dr. Moore is great, but her staff is terrible. I'll be seeing another doctor in the future simply because of them. Dr. Moore was very kind and helpful. Her facility on the other-hand; was a little off-putting. My first impression was the size of the clinic. It's a very small clinic that runs with a small staff. The staff was welcoming andefficient. Upon entering the exam room, I noticed a lack of cleanliness. There were wrappers on the floor from a previous exam, there was a coating of dust around the light fixtures and floorboards, and worst of all, the chair I was instructed to sit in for in-processing had a visible blood stain. It made me question the overall sanitary-state of my impending exam. I seriously considered leaving the facility before my appointment started, but I decided to stay and give Dr. Moore a chance. Plus I needed a prescription before I leave the country next week. Like I stated above, Dr. Moore was very friendly and her bedside manner was excellent. I personally would not return to this clinic. I'm sure for some people this clinic is great and is what they are used to. I will be seeking a different clinic next time I need to make an appointment. From my experience, Dr. Moore is not the most patient and personable. I went for professional info and recommendation on the best birth control for me. Not only did she not ask about my needs, all along, she seemed very bored.I walked out feeling like I could’ve just googled. Not sure how big my medical bill is going to look like but the visit was not worth it. I wouldn’t trust her opinion. Dr Moore was very professional and efficient. Her staff were friendly, attentive and helpful. Dr. Moore was very efficient and professional. I was seen right away and she diagnosed me right away. Happy to say the regimen was perfect! Very friendly doctor! Her staff was also extremely warm and welcoming. Maybe Dr. Moore was having a bad day but I didn’t feel welcome at all. Never went back. She explained a lot to me. She was attentive and did everything she could to help solve my period issues. She took my IUD out right away that day without notice when I had been trying to get my other doctor to remove it for MONTHS. Iam definitely happy with my service and Dr Moore’s dedication to women’s health. I have an appointment to go back next month for more tests and for her to see how I am doing — that’s hard to find. Monica was great! She was very clear in explaining her process and was very thorough. She made me feel comfortable throughout the whole visit. No worries after leaving her office! Everyone in the office was very friendly. Check in was a breeze since I completed everything through Zocdoc beforehand. Dr. Moore was wonderful! I was in and out in less than an hour! This was my second visit with Dr. Moore. While I believe she's thorough in her exams and puts you at ease during the visit, the organization of the office overall does her a disservice as a professional. The office staff iskind, but not particularly professional. It's impossible to get questions answered or a call back from the doctor if you leave a message with the front desk. It's been 5 months since my first visit and the staff informed me that I have outstanding bills that were not covered by insurance, but I still haven't received any details regarding what I owe. She's so informative and straight to the point. I'm so thankful I saw her. Long wait. Slow to get test results. Extremely professional and put me at ease immediately. She addressed all my concerns in a very efficient and comforting manner. I highly recommend anyone in need of her services. The office staff and doctor were very professional. The doctor was very personable. She was not warm or welcoming. She didn't smile once. Only time I got a chuckle out of her was when she asked me if I smoked and I told her how many times a day (as if she was ridiculingme). She was yawning through each sentence as if she didn't sleep in days. She did not congratulate me on my pregnancy. She was not nice and inviting. Her staff on the other hand was the opposite. They were nice and engaging. They congratulated me on my new bundle of joy upon leaving the office. I've been seeing Dr. Moore for 15 years. I absolutely love the care and concern she provides for me. I made an appointment for inconsistent period and spotting. The doctor did an ultrasound and said I have PCOS. She also said the spotting could be due to my IUD or from an infection. She said she'd prescribe me some antibioticsto see if it helps, and then drew my blood to do some blood work to look into my PCOS. All was well up to that point, but then the following happened: 1. I was told to expect a call with the blood results in the next few days. They forgot to give me my prescription as I left (but I figured I'd just call them and let them know about it, no big deal). 2. I didn't hear back from them for a week. I called the office and asked them, and they didn't even know who I was. She told me the doctor had gotten the lab results (which normal offices tell you within 24 hours), but hadn't gotten a chance to see it yet. She'd call me back today. 3. I didn't hear back. So I called the next day asking about it and also asked about the antibiotics prescription. The front desk lady told me that the doctor just "signed off" and she didn't get a chance to ask her (no idea how that happens when there is only one door for an exit). She would call me back at "5:30 -- no, five thirty SIX." I felt a little slighted, but I said OK and waited. 4. No call back. I call again the next day, and the front desk lady gives the phone to the doctor, who doesn't know who I am. I reminded her that I was the one with the IUD and that she had told me I had PCOS. She snapped back, verbatim, "Excuse me, I see patients every day so I can't remember all the details of who you are." I was taken aback. They didn't even give me a chance to talk. She told me my lab results, by phone, and then offered no solutions afterwards. Just, "Here you go, your lab results," and then telling me that I should go on antibiotics. I said OK, and she said she'd email me the lab results today and contact me about the prescription as well. 5. I didn't hear back, AGAIN. I waited an extra day because I had a job interview and didn't want to think about it that day. But today, the day afterwards, I called and suddenly, the front desk is now an "answering service" so they don't know the doctor's schedule, doesn't know when she'll be in again, doesn't know *anything* apparently. She just said that she'd give my message to the doctor and that is ALL she can do. It also sounded like the same front desk lady. I have NEVER seen a group of "professional" healthcare providers care SO LITTLE about their patients. It feels like they want people in for the first visit, and they don't care about retention. I have waited almost two weeks now for a simple email of my blood test results and a prescription. It has taken me multiple phone calls, and I have only been able to reach the doctor once. They have gone back on their word multiple times to get back to me, and I am fed up now. This was my first visit, and I won't be coming back again, despite STILL not having my blood lab results. I would HIGHLY NOT RECOMMEND this place. AVOID unless you are looking just solely for a visit without any prescriptions or blood work. (FYI there are reviews below me that show similar experiences. I wish I had listened to those and not come here). She's been my Dr. for almost 10 years and the quality of care has not declined at all. Office location is great and easy to get to. The office staff was very nice and welcoming but in my opinion Dr. Moore is not so great at attention to detail or bed side manner, i wanted to give her thebenefit of the doubt but after a couple of visits i can confirm this is how I really feel. When I first went to Dr Moore I had no idea what to expect from this type of doctor, I was a virgin and was looking for guidance. I personally feel she could have been more nicer when a patient is nervous about getting a pap smear and an ultra sound. Also, more importantly I felt discouraged when I asked Dr. Moore what I can expect to happen to my body if I start birth control. I understand everyone's different but as a first timer, I really looked to her for guidance. I also didn't know you should visit this type of doctor every year (this could be my own ignorance but again, I was looking to Dr. Moore for guidance) - she never mentioned that. Additionally, I feel that in the office they actually don't keep very good track of patient records: After I was first put on birth control they told me to come back after X amount of days to check my blood pressure. I came back as requested, paid my copay and then they asked "why did I come in" after i had told them what they told me at my previous appt. Even while taking my blood pressure they seemed still a little confused as to why I was there and I honestly I can't recall them asking me to set up a follow up from that point on. Being a virgin I never got the HPV shot and mentioned it to Dr. Moore, she said it's fine b/c I'm not sexually active - but I mentioned that to my primary care doctor and she was astounded that I was advised I didn't really needed it at the moment. My primary care doctor said it doesn't matter - "get the shot anyway and right away "- I almost missed the window in age to get the shot Like I mentioned, I really wanted to give Dr. Moore a shot but my repeated experiences with her aren't 100% positive so I wouldn't personally recommend her. But maybe perhaps you should try for yourself and see if you'll have a better experience.... Cheers! It was very awesome and she was truly professional. I got my needs taken care of right away. I felt comfortable and well taken care of. The staff was incredible! They were very thought and very personable yet perffessional. I would go back just for the amazing staff. However, I was trying to explain how bad I can get with my condition but he kept down playingit. It really is not as common as he thought because iv never ran into anyone better than me and diagnosed by 2 other doctors but he did not take it seriously. That being said he had amazing advice on how to fix my skin and was great at explaining the procedures. Very professional and informative. My new favorite Doctor! She was cold and I got the feeling that she was in a bad mood. Also, the office is not well kept but they do have some nice technology. The staff is very friendly and helpful. First and foremost, I liked Dr. Moore - she's knowledgable and friendly. I would've continued to be a patient of hers, but my experience after my appt has been nothing but negative. To preface, I work in a medical office, soI am aware of what is and isn't appropriate to request from staff. This is my personal experience with this office and I honestly wouldn't recommended anyone going there due to her administration staff. I've felt upset and disrespected as a patient because 1) it's very difficult to get a hold of anyone at the office and they never return voicemails (e.g., I've called 6 times and 2 voicemails in a business day and reached no one; my pharmacy and insurance company have tried to reach them multiple times on separate occasions during business hours and couldn't get through to anyone); 2) if and when you do reach someone, they're not very helpful with questions; and 3) they don't do a very good job of following-through with requests (i.e., the MA had agreed 3 times to send me my lab results and I still have yet to receive them 3 months later...) or lab result follow-ups (I didn't hear anything back regarding my lab results, and I had to call continuously to get an update). I know this was a very harsh review, but I don't want another woman to go through what I did and to feel as upset and frustrated as I am. Very direct, which some people may not like, and the wait time can be inconsistent. However, the first time I visited her, mentioned some discomfort that I thought wasn't a big deal, but Dr. Moore wanted to have a closer look.Turns out that I needed surgery a few weeks later! I think the problem had been around for a while, but Dr. Moore was the only doctor to insist on further investigation. So, yes, she's direct and short and to the point - but she's also great at diagnosing and fixing a problem - which at the end of the day is the most important thing, so I put my trust in her and recommend her! Dr. Moore is fantastic, helpful, sweet, and understands the value of your time as a patient. The office was a little short-staffed today, but all employees were helpful, smiling, and made the wait time fly by. Dr. Monica was professional, knowledgeable and had a great beside manner. However, her receptionist didnt tell her that I was waiting and I was sitting there far longer than I should have been. Maybe 20 mins plus, waiting to be seen.No knock on the doctor. When she heard I was waiting, she came in right away. I liked her a lot. Dr. Moore herself was very nice and helpful. I appreciated how much one on one time she spent with me. The practice used a machine to take vitals that took a fairly long time and felt unnecessary for a gynecologists office.Neither the doctor or the tech were able to explain what the exhaustive results meant fully. Great bedside manner in all front, from the receptionists to the nurses I interacted with. Everyone was lovely and informative. She was very kind. The office was clean and very modern. Every thing I wanted for my appointment she did. I'll definitely go back. Dr. Moore was great! She made me feel a little more at ease with coming in to her office. She's very personable and friendly. Highly recommend seeing her again.